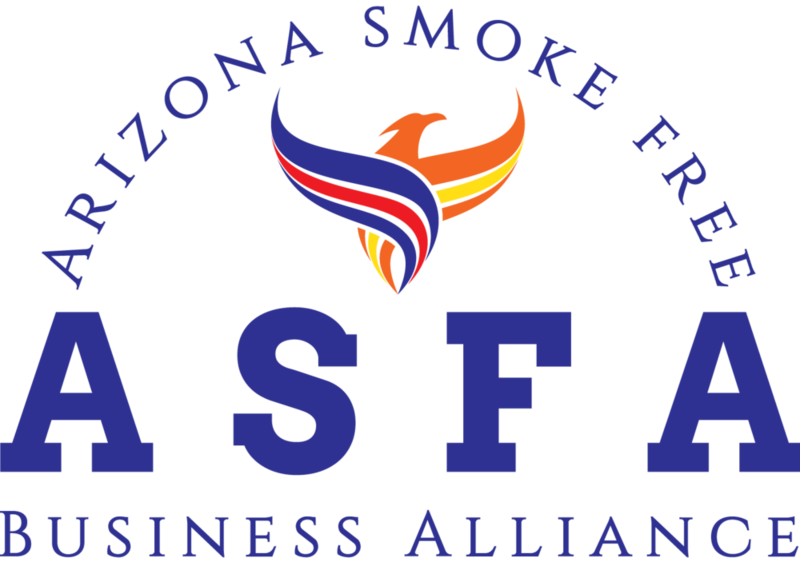 The Arizona Smoke Free Business Alliance is the leading AZ state trade association in the electronic cigarette and vapor product industry. ASFA represents the manufacturers, wholesalers, distributors, vape shop owners, small business owners and entrepreneurs who have developed innovative and quality vapor products, providing adult consumers with a safer alternative to traditional combustible products. ASFA and its members are leaders in the vapor community, promoting small businesses and job growth, responsible public policies and regulations, and a high standard of safety within the industry. To continue to promote high standards, ASFA’s Board of Directors has adopted these Marketing Standards for Membership. 1. ASFA is committed to educating and informing its members on the best ways to comply with applicable laws and regulations governing electronic cigarettes, vaporizers and related electronic nicotine delivery systems (“Vapor Products”), which laws include, but are not limited to, the Federal Food Drug & Cosmetic Act (21 USC Ch. 9 et seq.) as modified by the Family Smoking Prevention and Tobacco Control Act and 21 CFR Parts 1100, 1140 and 1143 (Deeming Tobacco Products To Be Subject to the Federal Food, Drug and Cosmetic Act, May 10, 2016) (the “Tobacco Control Act”) and the Child Nicotine Poisoning Prevention Act of 2015, 15 U.S.C. §§ 1471, et seq. 2. Vapor Products are for adults only and should not be intentionally marketed to, sold to or used by those who have not attained the age of 18 years (or the appropriate age restriction within the subject territory) (“Minors”). 3. ASFA Members’ marketing activities must refrain from knowingly marketing Vapor Products to Minors, which is strictly prohibited. As described in more detail below, ASFA strongly supports efforts to prevent Minors’ access to Vapor Products and ASFA embraces marketing restrictions that will reduce Minors’ exposure to marketing of and promotions for Vapor Products. At the same time, ASFA is committed to ensuring that adult smokers have equal access to truthful and factual information about Vapor Products, as well as a wide array of Vapor Products. Hence, ASFA will continue to advocate for new regulations that properly recognize the game changing role that safe and innovative Vapor Products will continue to play in reducing, if not eliminating altogether, adult smokers’ dependence on combustible cigarettes. ASFA encourages and expects that its members, if they haven’t already, will take the appropriate steps to ensure that their marketing standards reflect the core principles and prescriptions contained in these Marketing Standards for Membership within six months. 1. ASFA fully supports compliance with the current age restrictions embodied in the Tobacco Control Act and other legislation in Arizona. 2. ASFA does not believe that any changes to the tobacco purchase age are necessary to accomplish the purpose of restricting sale to minors, and ASFA commits to actively oppose any such legislation. 3. ASFA fully supports compliance with the child resistant packaging requirements of the Child Nicotine Poisoning Prevention Act. 4. ASFA fully supports state laws, and local ordinances, that impose penalties on retailers or others who sell or provide vapor products toMinors, and Minors who are found in possession of vapor products. 5. All vape shops and other retailers of Vapor Products should implement strict underage policies requiring that their employees card anyone who appears either fewer than 27 years of age or, if higher, the age required by law in the jurisdiction in which the company does business. 6. Vape shops shall ask Minors who are unaccompanied by an adult to leave their shop immediately. 8. All Vapor Products should be displayed behind the counter or in some other enclosed display which is not accessible without the assistance of a sales representative in convenience stores or other retail establishments where Minors may be present. 9. All online sales of Vapor Products should be restricted to adults through either direct verification of government issued photo ID prior to beginning a financial transaction or through the use of age verification technologies provided by independent third party agencies using public records databases. 10.All manufacturers, distributors and retailers should forbid the sale of their Vapor Products through any vending machine or unattended kiosk not located in an adult only area. This standard will alter with the any laws regarding vending machine sales of vapor products. 1. No Appeal to Minors. Marketing of Vapor Products should not include content which is directed towards Minors. In establishing their marketing, ASFA Members should consider that content which may appeal or be directed to Minors could include, without limitation, the following: (a) product names, (b) cartoons, (c) other imagery; and (d) promotional items. 2. Intended Audience for Marketing. Marketing for Vapor Products should not be directed at Minors and no channel of marketing should be employed if more than 15% of its audience is Minors. This restriction includes, but is not necessarily limited to, social media, TV, print and radio advertising, as well as event marketing or sponsorships. For regional (local, city or state) advertising, content must be directed to persons who meet or exceed the specific region’s age of majority. 3. No Improper Use of Trademarks or Trade Dress. ASFA Members should have a zero tolerance policy for Vapor Products that use in commerce names, imagery or designs that intentionally mimic, play upon, invoke or otherwise infringe upon existing trademarks, trade names or trade dress, particularly if they are associated with products that are or were primarily marketed to Minors. 4. No Smoking Cessation Claims. Vapor Products should not be portrayed as any sort of smoking cessation device or as a product which may be used to help quit smoking. 5. No Claims Regarding Health or Safety. Vapor Products should not be marketed as providing a therapeutic value, as being safe or healthy for consumers, or as products which do not produce secondhand health effects. 6. No Modified Risk Descriptors or Claims. Vapor Products should not be marketed or sold using modified risk descriptors or claims (e.g., “light,” “low,” and/ or “mild”). By way of example only, Vapor Products should not be marketed as (a) having no ash or smoke, (b) having no tar, (c) being less harmful, (d) posing lower risk of disease or (e) as containing reduced or zero levels of harmful ingredients. 7. Ingredients. ASFA Members should accurately represent the ingredients contained in their Vapor Products and, in particular, the ingredients contained in any e-liquid. Deceiving any consumer regarding the contents of the Vapor Products is strictly prohibited. 8. Product Sampling. ASFA Members shall ensure that all product sampling is restricted to adults and follows all applicable laws. 9. No Health Professionals. ASFA Members should not use health professionals to market or otherwise endorse their specific Vapor Products, directly or indirectly. 10. No Marketing to Non-Tobacco Users. Vapor Product marketing should be intentionally directed towards those who are current users of tobacco products and should not be designed to encourage non-tobacco users to start using Vapor Products. 11. Spokespeople. ASFA Members shall ensure contracted spokespeople and individuals endorsing Vapor Products on the company’s behalf must be and appear to be at least 25 years of age. 12. Billboards. Billboard advertisements used for the purpose of promoting or marketing Vapor Products shall not be physically located within 500 feet of any elementary or secondary school, youth oriented facility, or childcare facility. Litigation challenging the laws upon which these standards are based is currently pending. ASFA reserves the right to revisit and/or amend this standard in the event that any pending legal challenge is successful. Additionally, ASFA intends to revisit these standards on an annual basis or as needed to address changing market conditions or industry needs.